Successfully Added 5 Watt LED Flashlight "Zuke ZK1102" - 5200mAh Battery, 160 Lumens, Bug Zapper to your Shopping Cart. 5 Watt LED Flashlight with 5200mAh Battery, 160 Lumens, Bug Zapper and more. Your perfect camping partner. 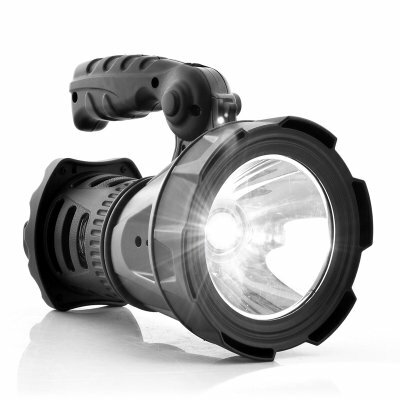 The "Zuke ZK1102" is a 5 Watt powerful flashlight which can be held by the handle or hung by the built in hook. Coming with 2 light settings, low and high, you can easily choose how much light the “Zuke” should emit and a built-in bug zapper will make sure those pesky mosquitoes won’t be biting you when camping. With a simple press of a button, the grip of the "Zuke ZK1102" can be folded in 2 different positions for ultimate handling. 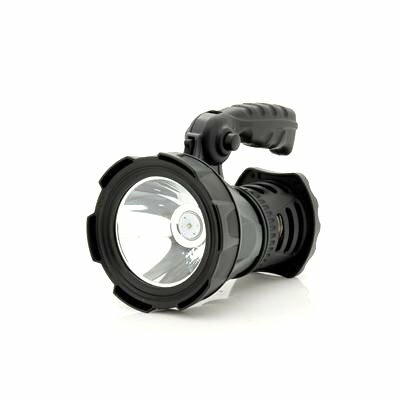 Now in stock, this powerful camping flashlight can be shipped out within one working day and comes with a 12 months warranty. Brought to you by the leader in wholesale flashlights and camping tools, Chinavasion.